Director of Football | NUFC Blog. Archive for tag: Director of Football. Kinnear – Why is there still no official confirmation from Newcastle United? Uncle Joe: Why no word from the club? 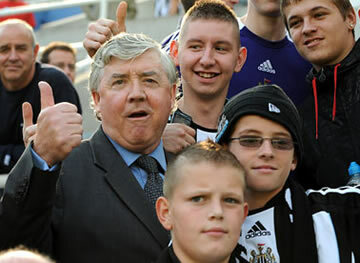 Since yesterday evening, there has certainly been no shortage of statements from Joe Kinnear on being appointed as a new Director of Football at Newcastle. Like his new colleague Alan Pardew, keeping his mouth buttoned has never been one of Kinnear’s stronger points, though even he has surpassed himself this time with a verbal Tsunami of what he is going to do at Newcastle United over the next few months. 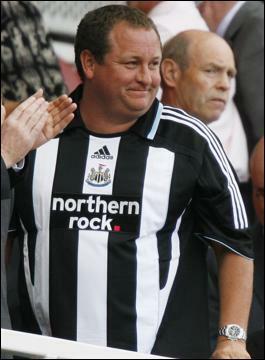 However, at the time of writing, there hasn’t been one word of confirmation or denial from Newcastle United. Bearing in mind Kinnear’s previous, the club could perhaps be forgiven for not arranging a full press jamboree with Simon Bird in attendance to unveil their new key member of staff. However, at the time of writing, there hasn’t even been a small announcement in the news page of Newcastle United’s official website. Is it just me or is this rather odd?